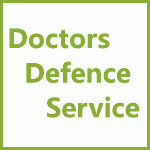 Doctors and Domestic Violence | Doctors Defence Service – UK. The GMC annually receives complaints from spouses or ex-spouses, or their friends and relatives, that a doctor has been violent at home or elsewhere toward their ex-partner or children. Each year a number of doctors will be convicted of assault or harassment in a domestic violence context. However, a number of false complaints are also made to the GMC each year, out of spite or as a tool to obtain custody of children. In either situation, the GMC will investigate. The GMC will refer certain complaints to the police, or wait until the police have investigated an alleged crime. Where there is no conviction or charge, the GMC might still take action against a doctor on the evidence that it has obtained. If complainants are willing to testify then the GMC may proceed to a hearing. A doctor who is found to have committed domestic violence clearly brings the profession into disrepute and undermines confidence in the profession. In such circumstances a doctor might be given a formal warning, which sits on their registration for a period of five years, or be given guidance at the closure of the case. Where a doctor is referred to a fitness to practise hearing, and while there is a possibility fo a warning being imposed, where domestic violence has been found proved, the greater likelihood is that a period of suspension will be imposed. In some instances, a doctor’s name might be erased from the register. A doctor who is facing criminal allegations should ensure that they have a lawyer attend with them at any police-led interview that they are invited to. What the doctor says and doesn’t say can have an effect on the proceedings that follow, whether they be criminal or GMC proceedings. Where a doctor denies the allegations, they may need to defend their case in court or at the GMC. A lawyer who can represent the doctor at such a hearing should be instructed. Legal aid may be available to doctors but their earning capacity may take them above the eligibility threshold. Most doctors prefer to instruct a lawyer on a private basis any way. Doctor are not entitled to legal aid in GMC proceedings, save on appeal, and again subject to eligibility criteria being met. If you are a doctor facing allegations of domestic violence, call Doctors Defence Service on 0800 10 88 739 in strict confidence. Or use our online Contact Form.